Compare Car Hire on Jersey. Also get cheaper Estate, Minivan & SUV Rental for Jersey. 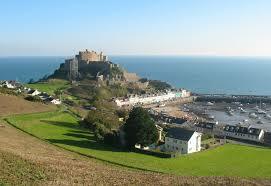 Book cheap Jersey Airport car rental in the Channel Islands, or just get a email car hire quote sent to you for Jersey. Full range of cars, estate, SUV and 7 or 9 seater minivan. Avis is one company we use here. Avis will meet you from your flight. You are taken to your rental car, via the Avis courtesy bus. At peak times, three buses are waiting. It is a short two minute trip, to get your hire car. Cars are returned to the public car park at Jersey Airport. Need a car at the harbour. Avis will meet you there with your rental car. They serve both the Elizabeth and Albert terminals, at St Helier harbour. In the summer, there can be twenty ferries in a day. Please advise the terminal, boat name, time and where arriving from. Return the rental car to the public car park at Jersey Harbour. Place the car hire keys in the Avis key drop box, which is located in the departure hall. 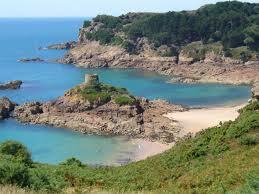 Jersey is the largest of the Channel Islands and also the most southerly making it the warmest. It is a beautiful island, situated off the Normandy coast of France. Whilst it is British it retains a strong French influence that lends itself to the charm and uniqueness. Whilst residents are bilingual with both French and English being spoken, English is the official language. Visit the various golden sandy beaches including Anne Port Bay, Beauport and Rozel Bay. See the Elizabeth Castle, which is a symbol of 16th century architecture. If you want a picture perfect location, then go to the famous Corbiere Lighthouse, which is extremely beautiful. Visit the marina at St Helier. Admire the ultra modern yachts. This area is rich in entertainment and restaurants. The same can be said of Gorey and St Aubin's Harbour. 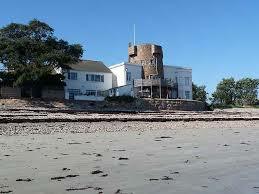 The Gorey Castle, Glass Church and Kempt Tower are some other places that you should see. Do not miss out on delicious and traditional food and sample some fine restaurants. Try the Green Island Restaurant, Bohemia Restaurant or Barros, to enjoy excellent seafood. You can then divide your time to some other activities, like surfing, water biking or just relaxing on the beaches. The museums showcase the amazing history of Jersey. For the children, it has to be the Maritime Museum, but not forgetting the Jersey Museum. Other must sees are the Aquadome, Battle of Flowers and Amaizin Maze at La Houghe Farm. Many historic sites litter the island. One worthy of a visit is the German underground hospital. 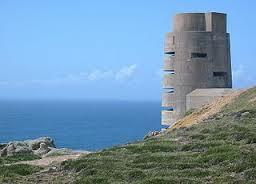 The Channel Islands have the distinction of being the only part of Britain invaded and controlled by Hitler in WW2. If staying in a chalet then be sure to shop at the Victorian Central Market in Beresford Street. They sell fresh fruit, vegetables and every kind of meat. On the opposite side of the street, is the Fish Market. The fish are cheap and fresh. Please make sure you do not leave too much of a fishy smell in your ca rental! Cheaper Jersey vehicles found here. Compare discounted SUV and MPV prices in Jersey. Get a convertible for next Jersey trip. Can we help with a room for your stay? We can offer over forty hotels, starting with the well priced Talana Hotel or Mornington Hotel. Going to Guernsey as well? Looking for car hire in Guernsey?. We can help you save money here as well.